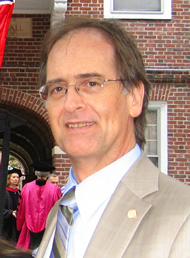 Dr. van Zyl is Professor of Psychiatry (Emeritus) at Queen’s University. He is a psychiatrist with expertise in psychiatry of the medically ill, as well as in adult and child & adolescent sleep medicine. During his tenure at Queen’s University he established the Division of Psychosomatic Medicine, serving as chair of the division until 2008. He negotiated and established funding for a full-time fellowship position in psychosomatic medicine. He was Program Director for Queen’s University Department of Psychiatry Residency Training Program, and served as examiner on the Examination Board of the Royal College of Physicians and Surgeons of Canada. Previously, he was director of continuing professional development, University of Calgary. He was Co-Founder & First President of the Canadian Academy of Psychosomatic Medicine, and serves on boards of international medical associations. He was Fellow in Neuropsychiatry (Sleep Medicine), University of Toronto, and his work is currently focused on Clinical Sleep Medicine and current research in the area of insomnia and parasomnia in children and adolescents. He is based in Toronto.